I started my apprenticeship in a small salon in the Yarra Valley. I always knew that I wanted to grow and do something bigger; something out of the box and outside the salon. When Nicole Healy first began hairdressing, she knew she was entering the business of change. Sixteen years on – and one successful platform later – Melbourne’s OG hair blogger is now facilitating change in others; helping salons maximise their business through effective social media strategy. “I started my apprenticeship in a small salon in the Yarra Valley,” Nicole shares. “I always knew that I wanted to grow and do something bigger; something out of the box and outside the salon”. Following her relocation to Melbourne at age 21, Nicole spent ten years working in two Malvern salons before taking 15 months of personal leave in 2015; a necessary hiatus from which a new career phase ensued. “I’d been hairdressing since I was a teenager and needed to find myself again. 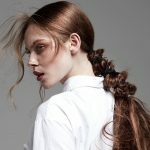 During that time, I wanted to spend as much time as possible with my grandmother [now deceased], so I quit my job and spent every day by her side.” It was during this period that Nicole; seeking both a creative outlet and an off-the-roster link to her profession, started Melbourne Hair Blogger; an online portal for aspirational hair content. 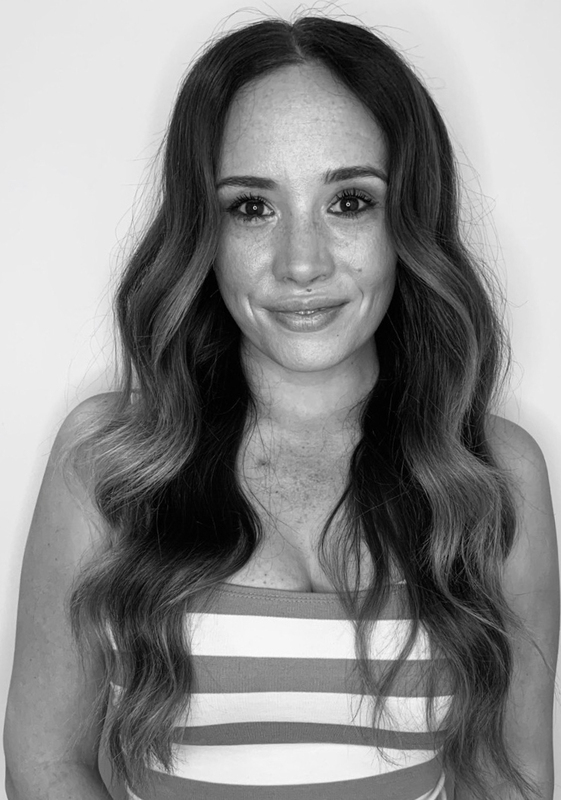 “I wanted to share hair inspirations from other stylists; to keep track of all the latest trends and stay in the loop with what was happening in the industry,” Nicole continues. 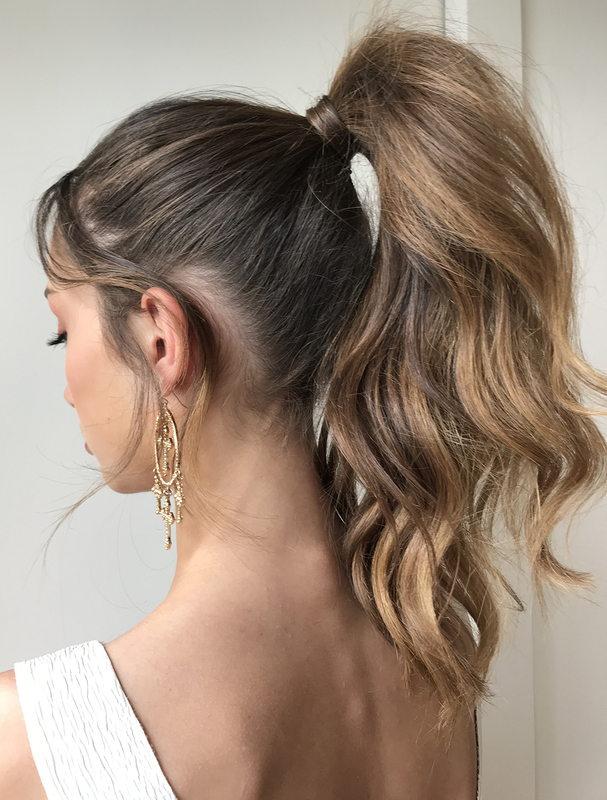 “I was really obsessed with Pinterest and noticed there weren’t really any [stylist-neutral] hair inspiration accounts on Instagram. What started as a page featuring celebrity hair looks and trending styles evolved into a directory for Melbourne stylists”. Following a short return to hairdressing in December 2017, Nicole turned her focus toward motherhood before resuming work in May of this year. Hitting the 30,000 follower mark at Melbourne Hair Blogger prompted Nicole to transform her then hobby into a fully-fledged business opportunity; “I had so many salon owners asking me how to grow their businesses through social media and I decided it was time to start putting my knowledge into practice”. Still a gateway for inspiration, networking and local listings, Melbourne Hair Blogger now encompasses tailored social media management and personalised workshops; pinpointing the key social drivers for salon business growth. “During our workshops, I teach salon owners how to use their social media correctly [for sustained growth] and also guide them through photographing their work – which is crucial in itself,” Nicole reveals. “Workshops typically span four-to-five hours; two of which are spent focusing on detailed social media training – how to use algorithms, increasing your engagement, how to market yourself to reach both existing and new clients – and tips and tricks for maximising Instagram’s features. We also cover the difference between curated and creative content, and look at how to utilise content to fill a niche and target market”. The biggest point of difference? Rather than adopting a ‘one- size-fits-all’ model, Nicole’s workshops are held on site, and tailored to suit both the needs and client base of each respective salon. “Workshops are personalised to each salon, because each salon is so different. I’m all about helping people individually, rather than just demonstrating. We start with a phone meeting to establish goals and brand before the workshop takes place”. “We go through key hairstyling trends (usually two-to-three looks depending on what they’re after) before covering the elements of a successful photograph – how to use lighting correctly, where to best situate photos in your salon, and all those little details that make for a successful image. I always advise my clients not to put up photos for the sake of it; one photo can make or break your clients’ perception of your salon. Take note of top performing posts and cater to your audience”. Nicole’s key tip for strengthening your socials? Quality over quantity. “People get so caught up in gaining likes and followers that they neglect their content. Focus on creating authentic content that’s unique and relevant to your client; the followers will come organically. Clients want a visual snapshot of what you can create before they walk through your salon doors; if you can capture them with a photo or video, you’ve already won them over”. Her advice for growing your business through education: “Do your research. Always educate yourself on what you’re about to teach and work your knowledge into your education. I love seeing salons hosting their own educational workshops and seminars; it’s a space that’s no longer limited to colour companies and big brands. Don’t be scared of sharing your formulas; I’m all about making knowledge accessible to everyone; I want everyone to succeed”.